The data is in. 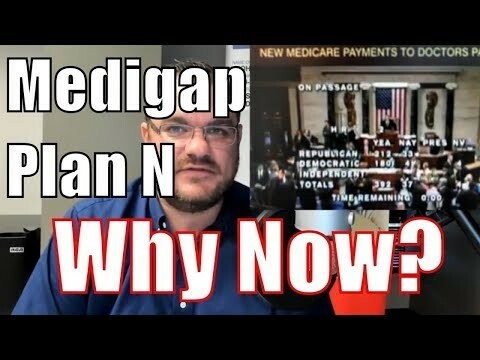 We are already seeing insurance carriers compensate now for the impact on Plan G which will happen on January 1, 2020 when the MACRA law will make Plan G accept Guarantee Issue seniors. This impact is making Plan G rate increases higher and higher across the country. If your health allows it, you should strongly consider, right now, applying for Plan N which will NOT have to accept Guarantee Issue folks losing coverage elsewhere. This will continue the trend we are seeing now. It will keep your Medicare Supplement rates as low as possible. See the data in this video. To find out how much you can save on Medicare Supplement Plan N, please give me a call at 1-800-729-9590. My team and I are here to help and our service is absolutely free. We are licensed from coast to coast and have the heart to serve you. This entry was posted in medicare supplement and tagged aarp, aetna, Anthem, best medicare agent, best medicare plan, best medicare supplemental insurance plan, Blue Cross, cheapest medicare plan, chris westfall, christopher westfall, copay, Cost, deductible, MACRA, medicare, medicare plan n, Medicare Supplement, Medicare Supplement Plan G, Medicare Supplement Plan N, medicare.gov, Medigap, medigap plan g, medigap plan n, Mutual of Omaha, plan f, plan f or g, plan g, plan n, plan n vs plan g, premium, rate increases, renewal rates. Bookmark the permalink. ← Medicare Advantage is dropping my doctor, Can I change plans? Excellent information, Chris. I will tell all my patients and my community. I’m so sad, gee I love my G. Question: Plan N copays only apply to office visits not all part B services like labs and scans? It depends, typically no. If the X-ray is in an outpatient setting of a hospital, they could charge you the visit co-payment. If you are going to a free-standing facility, you should only being paying your Part B deductible ($183 total for the year in 2018) and that’s it. Plan N is a great savings for the vast majority of those able to qualify for changing to it. It is definitely worth looking into with rates specific for your zip code. Thank you for keeping us informed . You are now on my to do list.